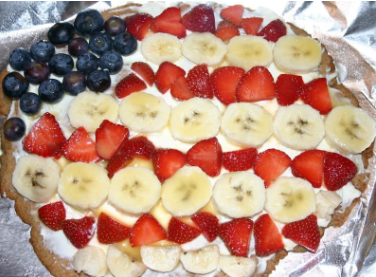 There are loads of ideas for fun 4th of July activities and crafts for families online. Most of the desserts, though, contain lots of sugar and food coloring. This one is full of fruit, whole grains and uses less refined sugar. Happy 4th! Enjoy!